Air quality issues resulting from recent fires in our region have contributed to an increase in the occurrence of airway and respiratory illnesses. Asthmatic patients should ensure that their inhaler supplies are not outdated and seek medical care if respiratory symptoms present. Streptococcal pharyngitis is being seen more frequently in Shasta County. Rapid strep testing is available at most local clinic sites. Proper diagnosis and treatment of pharyngeal infections can reduce unnecessary over utilization of antibiotics. Influenza vaccination has begun in the north-state area and is encouraged for most individuals six months of age and older. Vaccinations are available for age 16 & older at both Hilltop Medical Clinics. 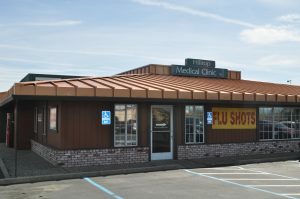 Many local pharmacies and other Shasta County health clinics can do them as well. Lastly, Ski season is just around the corner! Conditioning with leg strengthening exercise can reduce ski-related injuries during the upcoming months. If you have any questions please contact us. 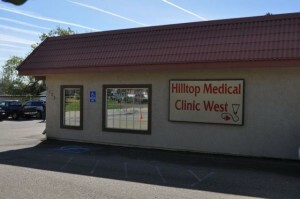 Our Hilltop clinic (530)-221-1565 located at 1093 Hilltop Drive or our West clinic (530) 246-4629 located at 2123 Eureka Way. ← IT’S FLU SHOT TIME AGAIN!